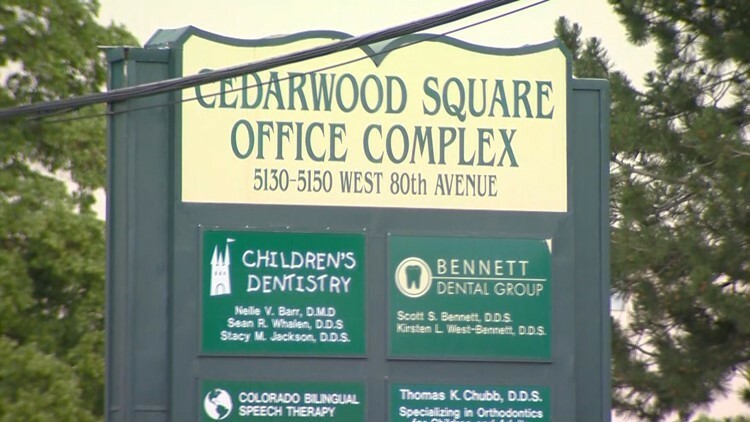 Two adults and two kids were shot outside a dental office in Colorado. A person of interest connected to the shooting outside of a Westminster, Colo. dental office that injured four people has been taken into custody, Westminster police confirmed. 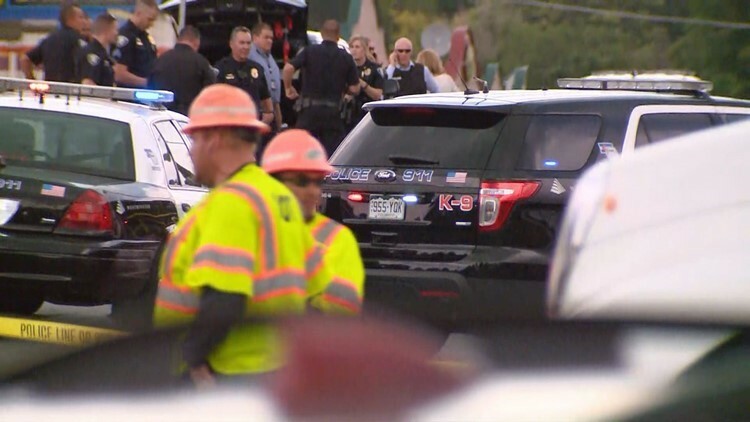 A spokesperson for the Westminster Police Department told Denver police station KUSA the person of interest was taken into custody at an interstate. Colorado State Patrol trooper Gary Cutler told KUSA a Colorado Parks and Wildlife officer spotted the vehicle headed south on Interstate 25 at 5:33 p.m. near Arapahoe Parkway. Troopers were then called in but quickly lost sight of the vehicle. Cutler said troopers then spotted the vehicle against headed south on I-25 near Meadows Parkway. Troopers surrounded the vehicle and was able to stop the driver fifteen minutes after the CPW officer first called. The agency hasn't been able to offer any other details about the driver taken into custody. Two adults and two kids were the only victims - they were transported to a nearby hospital with gunshot wounds after police arrived on scene around 3:05 p.m. There's no word about motive or what led up to this shooting. Cheri Spottke with the Westminster Police Department said during a media briefing that it's unclear what their conditions are. She told gathered media that the shooting happened in the parking lot of the Cedar Wood business complex. Earlier reports had the shooting happening outside a dentist office but Spottke nor other sources would confirm which office. Spottke originally said the four-door was only a vehicle of interest. About an hour later, Westminster police tweeted that the Corolla is a suspect vehicle. The vehicle and driver is now in custody. 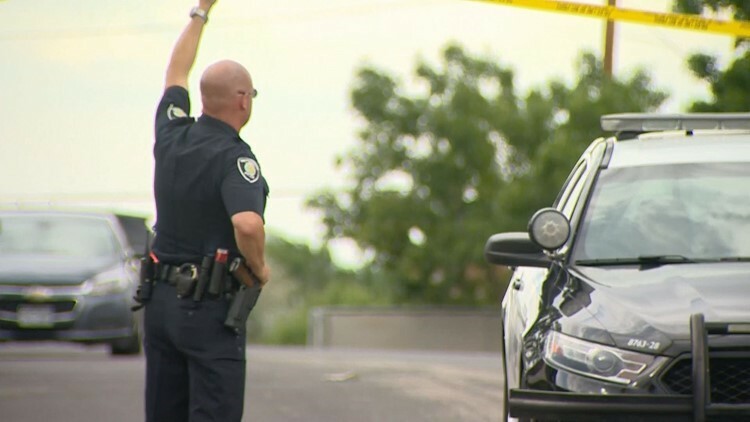 KUSA reporter Katie Eastman spoke with the owner of a car shop near the dentist office who said he heard seven or eight “deliberate” gunshots and watched as a man ran down the sidewalk of Sheridan. "Like somebody was taking their time aiming at whatever they were shooting at," witness Shaun Lucius said. "It wasn't like they were out there just shooting at targets." 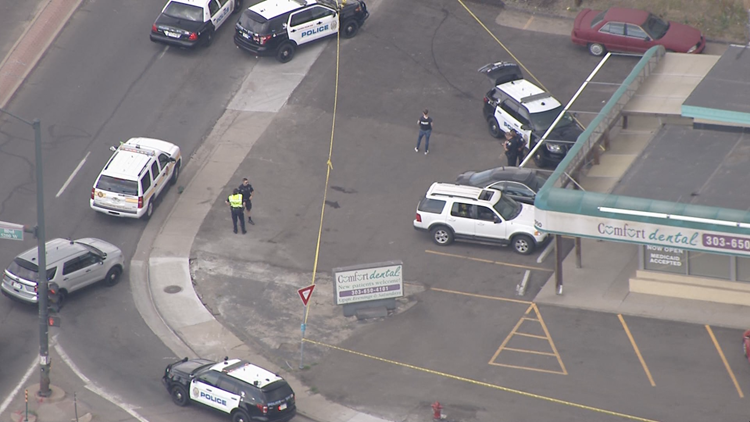 Aerial footage shows about a dozen or more patrol cars parked around the building, which is surrounded in police tape.Officers have been seen walking around the property tagging evidence. Law enforcement sources initially confirmed to 9Wants to Know that multiple were killed, but have not repeated that information and have since said publicly that the conditions of the victims were unknown.